Love is the ultimate transgression, bell hooks argues. Its transformative power can shatter the status quo. In Zen Meditation, we develop states of great clarity but we also develop states of cow-like ignorance, bovine ponderousness. The important thing is not to have any resentment against your suffering, or any expectations of happiness. In fact, when some people encounter trouble, it does not reinforce their practice at all. By grasping what is selfless as a self there is confusion. Since many of you have traveled far, or have worked hard to set aside the time, you have a great deal invested in this retreat. If you can take this attitude, eventually it will go away. The practice just keeps moving like a ball rolling down a hill. Freedom is shown in according one’s life with realities. 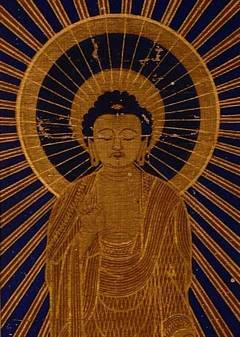 The wisdom of the Buddha is not difficult to perceive; it can be attained in the instant between two thoughts. Musing requires excruciating motivation. The ones who come have some authentic desire for spiritual, moral, philosophical, or astute uplifting. Being free to go wherever you wish, you are outside of the cycle of birth and death. If you do not abide in duality, neither having too much nor too little confidence, then what should you do? You have not come here to get enlightened, but to practice. Cultivating the capacity to be fully present – awake, attentive, and responsive – in all the different circumstances of life is the essence of spiritual practice and realization. Those with the greatest spiritual realization are those who are “all here,” who relate to life with an expansive awareness that is not limited by any fixation on themselves or their own point of view. They don’t shrink from any aspect of themselves or life as a whole.